Mocopay got game – meet us at Reboot Develop 2015 conference! 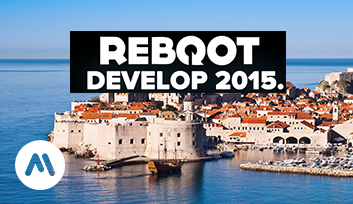 We are very happy to announce that this year Mocopay is one of the sponsors of the Reboot Develop 2015 conference! Reboot Develop conference is the biggest game developer event in South-East Europe. This year it’s held in Dubrovnik, Croatia from 23 to 25 April. During this three-day event you will have a chance to see 47 renowned speakers from the local and global stage. For the first time this year there will be a special business to business area that will allow all developers and publishers to present themselves. This is where you can meet our team: Aleksandar Andovski, Petra Mejas and Suzana Marcec. They are very excited to meet all of you and can hardly wait for the opportunity to hear about your games and to give you some tips on how you can reach new customers by using cardless mobile payment. They will show you how easy it is to monetize even the largest user base by providing the opportunity to pay without use of credit cards or mobile wallets. Isn’t that great? Enough about us, we want to know more about you! Leave us a note at info@mocopay.com and let’s meet! P.S. Aleksandar loves to play games, so please be free to show him your most addictive game!